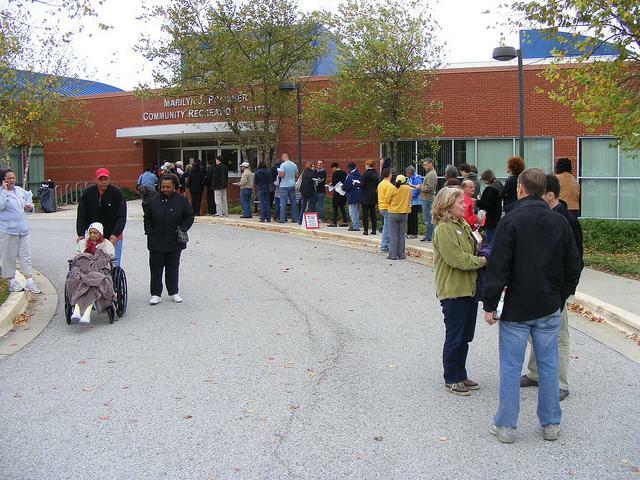 Outside Ridgely's Run Community Center, an early voting center in Howard County. Just in case you missed it, there’s an election going on in Maryland. Campaigning for governor, lieutenant governor, attorney general and other offices began last year. 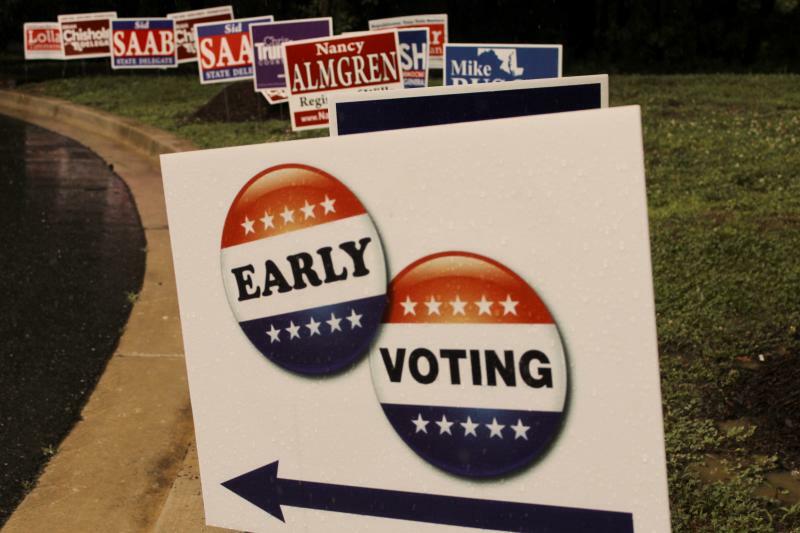 Early voting started Thursday and the primary election is Tuesday, June 24th. If you don’t know who to vote for, don’t worry. Researchers have found that knowing who the candidates are is just one way to decide. Name recognition is another, and quite common. A Vanderbilt University study found that any contact with a candidate’s name, even subliminal exposure, increases the likelihood that someone will vote for that person. That may be one reason that candidates often opt not to refer to their opponents by name. Most people don't know who anyone is. When they go in there, they look at three names. They either don’t vote at all — now, this is the primary — or they say ‘eenie, meenie, miney, mo,’ or they look at a name…Jim Hogan? I’ve heard of Hogan! Yeah, I think I’ll vote for him! He sounds like a nice guy! Greenblatt points to former perennial Texas candidate, Gene Kelly, who was repeatedly able to force opponents into run-off elections. No, not that Gene Kelly, who passed away in 1996. A far less famous Gene Kelly, to say nothing about his dancing skills. They say imitation is the highest form of flattery, but Senator Carol Moseley-Braun probably disagrees. In 1999, a candidate for alderman in Chicago’s 37th Ward changed her name from Lauryn Valentine to Carol Moseley-Braun, out of admiration for her “hero.” The original Moseley-Braun, the first and only African-American woman elected to the U.S. Senate, was not amused. She argued to the city election board that Moseley-Braun 2.0 aimed to mislead voters. The board removed Moseley-Braun, formerly Valentine, from the ballot for failing to register to vote under her new name (starts bottom of page 22). In Maryland, new Washington Post poll numbers for the Democratic Attorney General’s race show that the majority of likely primary voters have “no opinion” about who they will choose. But Del. Jon Cardin came in second with 26 percent of the vote. The Post’s Arelis R. Hernàndez noted that, throughout the campaign, part of the “subtext has been Cardin’s name recognition.” Del. Cardin’s uncle is former U.S. Representative and current U.S. Senator, Ben Cardin. Fraser Smith and Karen Hosler touched on this issue, and Cardin’s attendance record, on Inside Maryland Politics. Another common option is to vote for the first candidate listed. Maryland election law requires that candidates be listed in alphabetical order by political party, starting with the majority party and ending with nonpartisan candidates. Stanford Professor Jon Krosnick, writing for The New York Times, found that candidates at the top of the ballot have a two percent advantage over being listed farther down. When do voters gravitate to the first name they see?... [I]t’s when voters know little or nothing about the candidates, or when the candidates’ party affiliations are not listed on the ballot, or when the incumbent (whom voters typically know at least somewhat) is not running for re-election. Krosnick listed Ohio, Idaho, North Dakota, and Wyoming as states that have adopted some form of randomized candidate listing. The Baltimore Sun used Court of Special Appeals judge, Alexander Wright Jr., as an example of the unfairness of alphabetically ordered ballots. Wright was appointed twice to the Baltimore County Circuit Court, but lost elections in 2000 and 2002, perhaps because, in addition to the fact that voters tend to be ill-informed about judicial elections, he was at the bottom of the ballot. Whether you’ve been following the races from the beginning or are taking an educated guess, no one can tell you how make your decision. Thursday marked the first day for voters in Maryland to cast their choice for who will be their party’s nominee for a range of positions, from governor and attorney general to delegate and county executive. Early voting will continue for through next Thursday. We’re getting down to the wire. The primary election is June 24th. It’s tough to avoid the billboards, commercials, and mailers for the gubernatorial and county executive races. 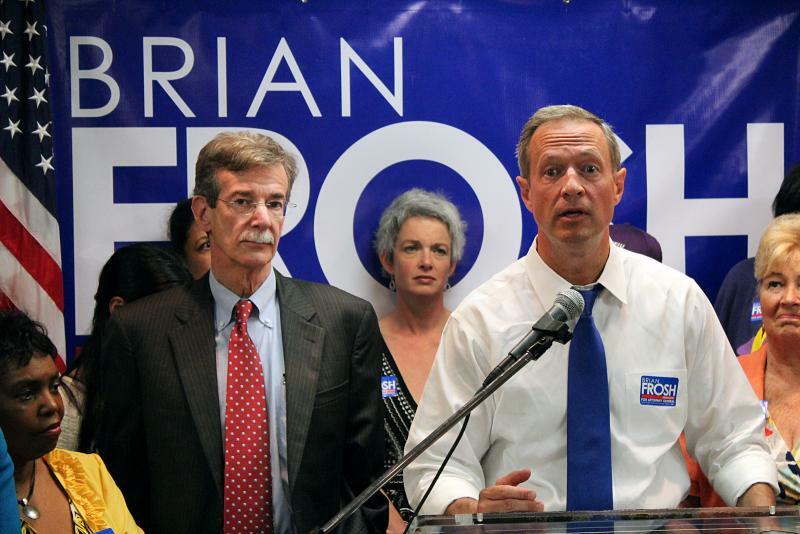 The race to be the next Maryland attorney general has gotten progressively more heated. With the primary just days away and a large swath of voters undecided, three Democrats, all from the legislature, are vying to be the state’s lawyer. WYPR's Fraser Smith and Ian Duncan of the Baltimore Sun talk about the Democratic primary for State's Attorney and why the race has thus far been under-the-radar.